As you already know, the scopes with mil-dot reticles are very popular among marksmen, snipers, and hunters alike because of both the simplicity and range finding. Without a doubt, riflescopes equipped with mil-dot reticles can do magic when they are in the hands of experienced shooters. Although there is a trend of using rangefinders or electronic sensors integrated into scopes, no serious shooter or tactical team will rely solely on electronics, since a mil-dot also works without batteries. What is Mil-Dot Scope and What is it Used For? Unlike MOA reticles, the mil-dot-based scopes were designed around the measurement unit of the milliradians or MRAD. That also answers to the common misconception that “Mil” in “Mil-Dot” stands for “Military”. In fact, the milliradian is 1/1000th of the radius of a circle. Based on the traditional duplex crosshair, a mil-dot reticle has evenly spaced dots throughout the X and Y-Axis. This reticle usually can be found in tactical optics. Initially, this type of reticle was used exclusively for military purposes, specifically in artillery for precise determination of the distance to the target. Being a military unit of angle, the U.S. military utilized the idea of milliradian for the small arms optics, and at the end of the 1970s, the first mil-dot type scope was made. This reticle type is maintained to this day and all major manufacturers deliver their optics with mil-dot crosshairs. Are MOA and MRAD the Same? Both MOA and MRAD are conical measurements, but they are not the same. If you are familiar with the U.S. customary system, the MOA system will be great for you. For those who are familiar with the metric system, the natural choice would be mil-dots. Whereas the minutes of angle (MOA) may be a bit easier for the most Americans to calculate, the MOA measures approximately one-inch per 100-yards making it better suited for casual shooter or hobbyist, as it is not as accurate. Mil-dot measurements are stated in the metric system, marking 10cm per 100m, or 1cm per 1,000m. Since they are much more accurate, mil-dots are best for marksmen who desire the most intense accuracy at the greatest range they can achieve. While the click value is 0.1 MRAD (1cm/100m), you can convert mils to imperial measures, but it really requires more math. In that case, you should remember that each milliradian is just over 3.6 inches at 100 yards and 36 inches at 1,000 yards. Interestingly, the mil-dot is not round but instead is oblong. While mil-dot scopes range from the cheapest imported junk to high-end scopes, you have to pay attention to a few desired characteristics. The mil-dot is a distance estimating reticle, used to calculate the distance to an object. Since it is typically used for adjusting the impact of a bullet on long distance rifles, it is best suited for riflescopes with a decent magnification. To begin, you can acquire scopes with a 3-9x magnification, but for shooting out past 200 yards you might want to consider a higher magnification device like 4-16x or even those with a more powerful zoom. Some people will look for products that offer an illuminated backlight to light up the reticle, which is easy to use in low lighting conditions and poor weather. As you know, a 30mm tube allows for greater light transmission and better sight picture, but quality brands can also provide a clear and sharp image with a one-inch tube. While a 40mm objective lens may be enough for hunting, for enthusiasts who really enjoy long-range shooting, a 50mm objective bell will provide a superb sight picture at a distance. One of the most useful features involves making sure that the reticle always matches with the click value. Whereas the mil-dot reticle has subtensions divided in milliradians, the turret clicks paired with reticle subtensions also divided in milliradians. Now that we have touched on a little bit of background info, let's move onto the stuff that matters most - the review of our favorite mil-dot scopes. Our first offering is for best overall mil-dot scope is the Bug Buster 3-9x32 riflescope from the Leapers/UTG Company. The UTG manufacturer has pioneered the range estimating concept in mil-dot reticle optics from as early as 2003. In contrast to the common mil-dot reticles, UTG Tactical Range Estimating Reticle (TRE) boasts nine dots in each direction of the crosshair, providing you with a total of 21 aiming points for either windage or elevation. Besides, they are the first in the industry to release the red and green dual reticle illumination in 2004. The central body is made of one-inch aluminum tube, but there is ample use of polymers as well, that are responsible for overall weight reduction. 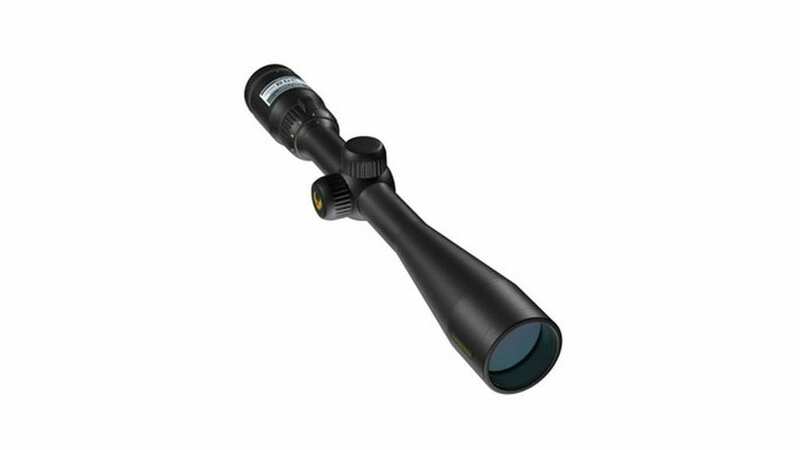 Due to standard 3-9x magnification power, this compact device is only 8.11″ long and weighs 13.9 oz, making it a nice tough product, built on a True Strength (TS) platform for reliability and sturdiness. As proof, this Leapers/UTG model is airgun-rated, meaning that it can withstand the recoil of a spring powered air rifles, which are notorious for destroying good firearm optics. 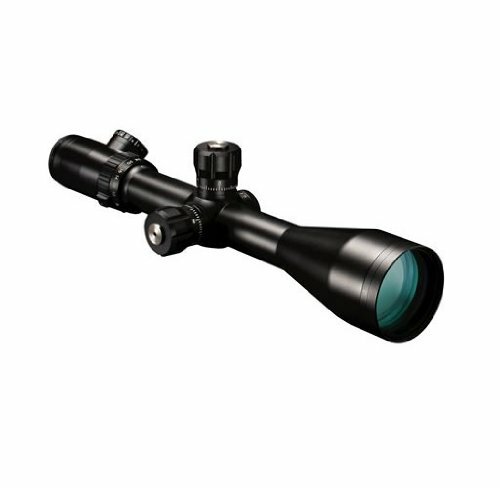 The UTG 3-9x powered scope comes with emerald proprietary multi-coating, which facilitates maximum transmission of light. The body is sealed and 100% nitrogen filled, but whereas it is entirely fog and shockproof, it is not completely waterproof and won't protect internal mechanism against being submersion. The main complaint about this product is small eye relief that decreases dramatically with a higher magnification from 4.2" to only 3.2". The ¼ MOA turrets for adjusting windage and elevation are finger adjustable, zero lockable, and zero re-settable. While this SCP-M392AOLWQ model comes with a 32mm objective lens and an adjustable objective for parallax correction from three yards to infinity, its mock turret on the left side serves as the optional red or green illuminated reticle. The package includes quality flip-open lens caps, a pair of Picatinny/Weaver quick-detachable medium profile rail rings, and a two-inch sunshade. Leapers/UTG developed and refined the Bug Buster as a decent little optic with the perfect set up for use on a modern sporting rifle. It is based on the AR-15 platform or can be combined with a side mount base for Soviet-designed carbines. The UTG 3-9x32 optic is an excellent riflescope for those on a budget and those desiring a compact, yet powerful mil-dot scope with an illuminated reticle. For many years now, the 3-9x variable has been the most popular riflescope magnification, but today hunters and shooters are beginning to choose slightly more powerful 4-12x or even 4-16x variables. The Nikon series of ProStaff riflescopes are available in magnification levels 2-7x, 3-12x, and 4-12x, offering a fully multi-coated optical system for up to 98% light transmission for bright, high contrast viewing. The redesigned Nikon ProStaff scope comes with a versatile magnification range, is nitrogen filled, and has an O-ring sealed central tube for waterproof, fog proof, and shockproof performance. 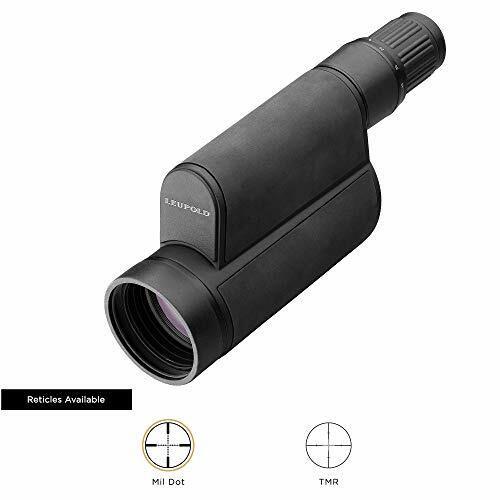 Since you can adjust the magnification from 4x all the way up to 12x, this optic provides you with a tool for any type of hunting situation, from heavy timber to the open prairies. With a body made from polymer and aluminum, the Nikon model 6732 weighs only 14.3 ounces and sports mil-dot reticle built-in aiming points for easy elevation adjustments. The Nikon ProStaff 4-12×40 features updated finger adjustable turrets compatible with Nikon`s Spot-On Ballistic Match technology. Spring-loaded zero-reset turrets can be tuned with precise hand-turn 1/4-MOA click adjustments. However, the main complaints about this product are that the knob adjustments are in MOA while the reticle utilizes the mil-dot aiming points directly built into the reticle itself. The Nikon ProStaff 40mm scope boasts a generous, consistent eye relief of 3.7 inches that will keep your brow safe even with the heaviest recoiling rifles. While the updated Nikon ProStaff line of riflescopes is perfect for target shooting, they are also good basic hunting scopes. The Nikon ProStaff will provide you decent image quality at dawn, dusk, or even on cloudy days but they do not give quite as much illumination at dusk as some of the higher end riflescopes. Like most scopes in the Bushnell new Elite Tactical series, model ET6245F has tactical/target style turrets and reticle in the first focal plane. Utilizing 4x zoom power and a magnification of 6 to 24x, this Bushnell product is perfect for long-range shooting, especially when paired with a reticle placed in the first focal plane, which means that reticle size changes with magnification without obstructing target. 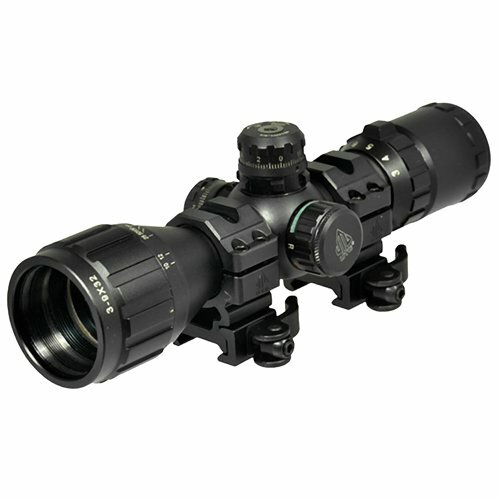 This model features a crisp and illuminated mil-dot reticle ideal for easy holdovers and distance calculations. The scope comes with MIL/MIL configuration, meaning that tactical/target style turrets offer 0.1 mil click value matching the precise mil-dot reticle measurement. Thanks to a large, light-gathering, 50-millimeter objective lens, fully multi-coated optics, and an Ultra Wide Band Coating, you will get improved light transmission and excellent image sharpness and brightness even at dawn and dusk. Additionally, the outer lens surfaces are coated with the RainGuard HD layer which breaks up moisture, keeping the lens clear. The generous and constant eye relief of four inches (101 millimeters) is helpful for comfort shooting and accurate shot placement. This product is equipped with a side-mounted parallax knob intended to assist in keeping the reticle parallax free and the objective image sharp for long distance shots. Its 30mm diameter tube is made of single piece aircraft grade aluminum to withstand some serious abuse. The housing of this Bushnell offering is argon purged for complete waterproof and fog proof protection. Bushnell’s Tactical 6-24X50mm riflescope is a pretty versatile optic that will meet most needs of all varminters and big game hunters out there. Primary Arms is a well-known retailer of optics, red dot sights, and firearms parts, and is now widely regarded as one of the most cost-effective options on the market. Many would agree that the Primary Arms’ 4-14x44mm riflescope with first focal plane mil-dot reticle is a “best buy” in the industry. The FFP reticle will stay true through the entire magnification range of 4x through 14x. The traditional mil-dot reticle is correctly matched with MIL/MIL turret adjustments that move the reticle by one-tenth of a mil with each click. However, whereas all adjustment knobs are big and comfortable, some shooters complaint of soft turret clicks. The exposed tactical-style turrets are lockable and re-settable, providing a total 35 mil of windage and elevation. That is not huge, but it's good enough for the applications most average hunters and marksman will use these optics for. While the reticle is not illuminated, its 30mm tube will maximize light transmission, making it perfect for long-range precision shooting as long as you understand what its limitations are. It comes with a decent 3.22 inches of eye relief at low power and 3.14 inches at high magnification. 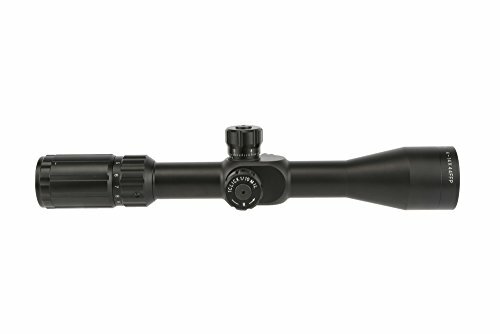 This scope features a side-mounted parallax adjustment that will keep the reticle parallax-free and focuses from ten yards to infinity. Since it is machined of durable aluminum alloy, it is completely shockproof and nitrogen purged but only water-resistant, not completely waterproof. Overall, Primary Arms has released a very good entry level scope for mid to long-range shots offered at a very competitive price range for FFP Mil-Dot optics. Spotting scopes are an indispensable part of the equipment in long-range shooting or hunting, and they are especially valuable when paired with riflescope reticles for accurate range calculation. The Leupold Mark 4 is equipped with a traditional mil-dot reticle placed in a front focal plane (FFP), that gives you exact range calculations at all power settings for serious accuracy. Actually, the FFP reticle magnifies with the image so that you can range at any zoom level. The overall shape and size of this device are short and compact (just 12.4 inches long and 37 ounces), due to the polymer body and folding optical design. It features a roof prism system that folds the optical path in a manner characteristic of binoculars. It sports 12-40x power magnification and a whopping huge 60mm objective lens. Additionally, it has water, fog, and shockproof construction and Leupold's industry-leading lifetime warranty. The armored rubber housing protects Leupold's Xtended Twilight Lens System and multi-coated lenses, making this unit extremely durable under the most daunting conditions and in the most critical moments. Since this product, just like any high-magnification spotting scope amplifies vibrations, Leupold provides a standard 1/4-20 thread tripod attachment and a McCann rail for easy compatibility with tripods and digital cameras. Leupold's premium spotting optics from the Mark 4 series offer resolution and brightness on par with the best of classic European scopes at a considerably lower price. The fact that the United States military sniper teams and some serious shooters and hunters use this high-quality instrument is a pretty good recommendation to start with. The mil-dot reticle is one of the most popular and common, so there is no wonder why countless military sniper teams have trusted these as they are perfect for tactical law enforcement use, long range hunting, or ringing steel at a thousand yards. By utilizing milliradians, you can make easy compensation for bullet drop and deflection on a windy day as accurate and straightforward as possible.